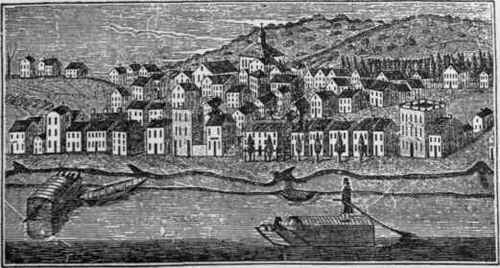 Cincinnati in 1810. First houses along the river bank. 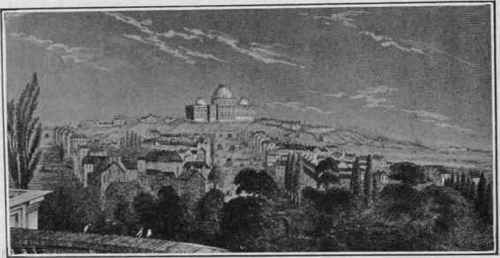 Chicago in 1820. First houses at the mouth of the river. The restraining effect of railroads, whether main or belt lines, varies according to the territory traversed. Where a railroad runs through a business section at grade, it limits communication between the divided sections and tends to concentrate business on one side of the line. Where a railroad in a business section is carried below or above grade, its effect is minimized. In a poor residence section a railroad has but little effect, but in a high class residence section it forms a nuisance which good residences shun. Added to the noise and cinders of passing trains is the fact that the railroad attracts factories and warehouses, which are also nuisances in a residence district. In some instances the railroad travels along the line of a small creek or gully within the city, which has already kept land values down, so that the railroad has but little added effect, as with the greater part of the Belt Line in Kansas City. If the railroad is in a deep cut, its limiting effect on good residences is diminished, as in Chattanooga and St. Paul. In some cities demand for land in the good residence district is so great that the residence district is projected beyond the encircling railroad with little fall in values, as in Louisville and Richmond, where handsome residences are built adjacent to the railroad. In New York, the N. Y. Central R. R. on Park Avenue, between 42d and 56th Streets, holds the high class residences on the west side of the track, the east side of the track being ruined by absence of approach, the only communication being by the elevated foot bridges. From 56th Street north the tracks enter the tunnel and their effect is lessened-, the only objection being the vent holes in Park Avenue. In all cities railroads detach great slices of city area, in which they alter utilizations and values much as important water courses do. The effect of railroads on adjacent frontage is to prevent its use for either shops or residences, the chief exception to this being in small towns where the street facing the railroad often starts as the principal business street, this conditions still surviving in Syracuse. Water fronts, if navigable, invite commerce, resulting in docks and warehouses, and away from the city centre, attract factories. 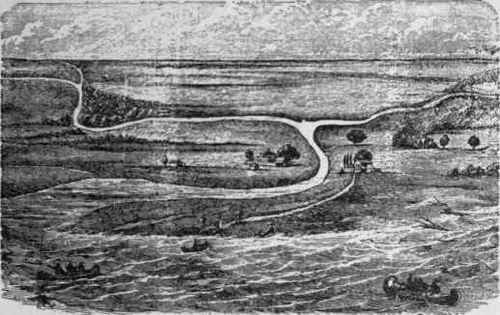 If not navigable and not bordered by railroads, and if the land is not low, they attract residences, as in Chicago, north of the Chicago River; in Charleston, and formerly in New York, when the best residences faced the Battery Park. Where the land rises sharply fifty or more feet above the river level, so that the railroads and traffic along the water are not seen or heard on the hill above, residences are attracted, as in the Riverside Drive district in New York; the Summit Avenue district in St. Paul; the Independence Avenue district in Kansas City, and the Walnut Hill district in Cincinnati. Turning to central growth, this has two aspects, first the main general growth in all directions from the point of origin, second the growth from various sub-centres within the city, such as transportation termini, public buildings, exchanges, factories, hotels, etc.